Education has long considered the effects of behavior on learning. But what if a child lacks the necessary skills to perform expected tasks and displays behaviors that help him avoid or escape these undesirable tasks? Teachers have seen children misbehave in the classroom while doing school work. A 10-year old who finds multiplication difficult becomes frustrated and throws a tantrum when asked to complete the problems. A 13-year old who has difficulty focusing in class is distracted by noises outside the classroom and has an outburst by slamming his book shut and saying that he can’t read because there are too many distractions surrounding him. A 16-year old who reads at a fourth-grade level frequently skips school. But when he does attend class, he appears bored. When the teacher asks him to read aloud, he throws a book on the floor and uses obscene language and calls the reading “stupid” to inform the teacher that he will not read the passage. The above-mentioned examples clue us into deeper rooted, underlying causes of defiant behavior in children with learning disabilities. Research shows that young children, adolescents, and adults with LD often exhibit confusing and contradictory profiles of performance. They perform certain tasks quite well while struggling considerably with other tasks. For example, a child may be very bright and have a yearning for knowledge, but has difficulty behaving appropriately when placed into a reading group with her peers. She frequently gets overexcited and the teacher has to remove her from the group. The girl enjoys hearing the story read to the group, but puts her head down and starts to kick her feet when asked to read aloud. One of the worst things that a learning disability can do to a child is to have a devastating effect on their self-esteem. Despite the efforts of parents and teachers for a child’s academic success, the repeated disappointments and lack of academic success for many children with LD can result in a condition called “learned helplessness.” These children may call themselves “stupid” and believe there is nothing they can do to become smarter, be liked by their peers, be understood by teachers and other adults in the school community. When they are successful at a task, they often attribute it to luck rather than intelligence and hard work. Drs. Sally and Bennett Shaywitz, of Yale University, pointed out through their studies that children with dyslexia are often blessed with “a sea of strengths.” While they have difficulty decoding the phonologic components of words, they are surrounded by strengths in reasoning, problem-solving, comprehension, concept formation, critical thinking, general knowledge, and vocabulary. A child’s learning disability may result in an emotional battering that impacts their everyday interactions with teachers and peers at school, with parents at home, and others in the community. Saying the work is too difficult. Blaming the teacher for bad grades. Not wanting to show parents homework. Refusing to do an in-class assignment or task. Exhibiting physical ailments (i.e. stomach aches, headaches, anxiety, and /or depression). Refusing to follow classroom rules in order to be removed from the classroom and avoid doing work. It may be necessary to complete a functional assessment of behavior, which is a complete and objective problem-solving process for addressing student problem behavior. The assessment relies on a myriad of techniques and strategies observing the child’s behaviors objectively in different settings and during different types of activities. It also involves input through surveys and meetings with school personnel. A major purpose of the assessment is to help IEP teams determine the appropriate interventions be used to directly address the problem behavior. It may be difficult to determine if a child’s learning disability is directly contributing to or triggering these types of behaviors. Family-related stressors can have a significant effect on behavior at school. If a child is displaying hyperactive, impulsive, or distracted behaviors, it is also important to see a specialist to see if a child has attention-related disorders such as ADHD or a psychiatric condition. In addition to a learning disability, having social issues can take a toll on a child’s self-esteem. Children with LD often have difficulty asking for help with peer-related situations. 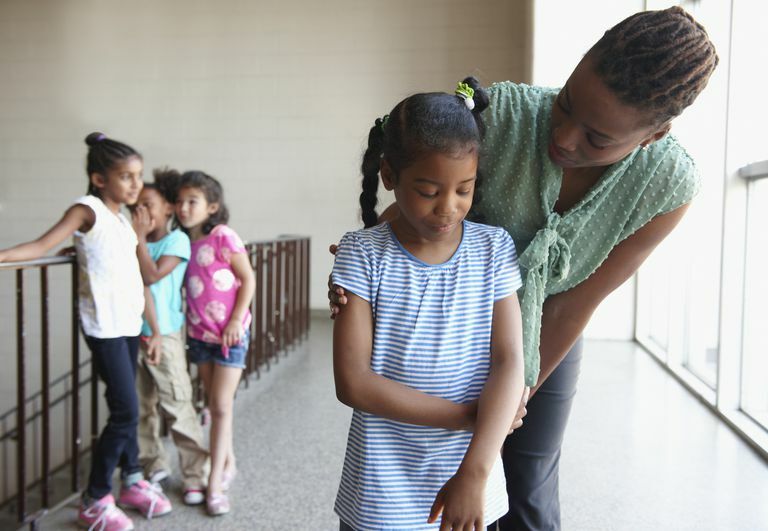 They are lacking the social-emotional skills necessary to handle peer pressure, bullying, and reading the social cues of others. They may have trouble knowing how to interact appropriately with their teachers and peers of the opposite gender.